ROOSEVELT LAKE — (2,122 feet, 67-percent full). The Roosevelt Lake water level is 67 percent full and the level is falling about 1 percent each week. The downstream demand is over 2,000 acre feet nearly every day, which is typical of summertime demand. Exacerbating the problem are the flows into the lake which continue to slow. The Salt River is flowing at 50 percent of its normal rate for this time of year or about 80 CFPS, while the Tonto Creek has stopped flowing. This trend will likely continue until the monsoon storms begin to replenish the watershed. 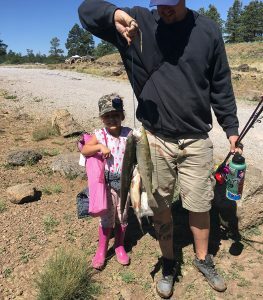 Summer bass fishing conditions on Roosevelt Lake are good according to local experienced anglers. 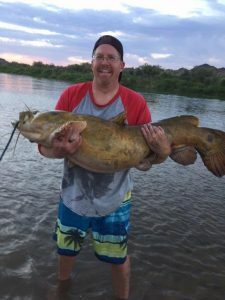 The mid-day temperatures have dropped a few degrees but still above 100 degrees each day, making daytime fishing difficult. 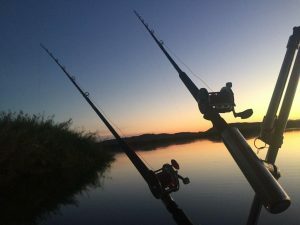 A good reaction bite is being reported first thing in the morning and again in the evening. 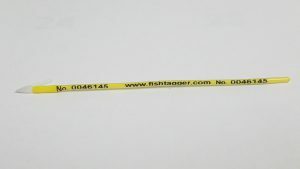 Anglers are enjoying the excellent weather for night fishing and reporting a steady bite for bass in the 12″ to 14″ range. Crappie anglers continue to call fishing conditions poor. Some anglers are finding small schools of crappie in the 20 to 25 foot depth range but not the large schools typical for late June. There are several theories about what has impacted the crappie population on Roosevelt Lake including the large gizzard shad population. 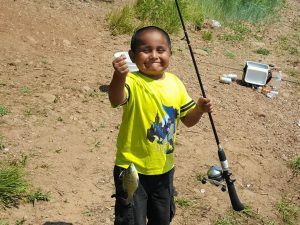 Recently AZGFD stocked thousands of crappie fingerlings in an effort to help the recovery. 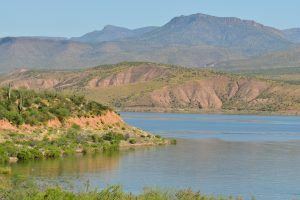 LAKE PLEASANT – (Lake elevation 1,686 feet, 83 % full). SAGUARO LAKE – The lake is 1,524 feet (91-percent full). HORSESHOE LAKE – Lake elevation is 1,961 feet (2-percent full). LOWER SALT RIVER – On Thursday afternoon, the river was flowing at 1,170 cfs out of Stewart Mountain. The final trout stocking of the season is scheduled for this week. 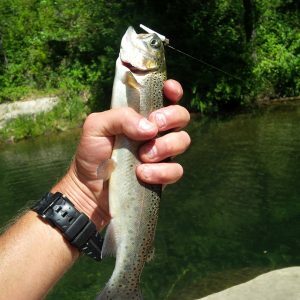 Jim Goughnour of Rim Country Custom Rods reported: Many trout remain in Rim Country streams and fishing for them is easy and fun. 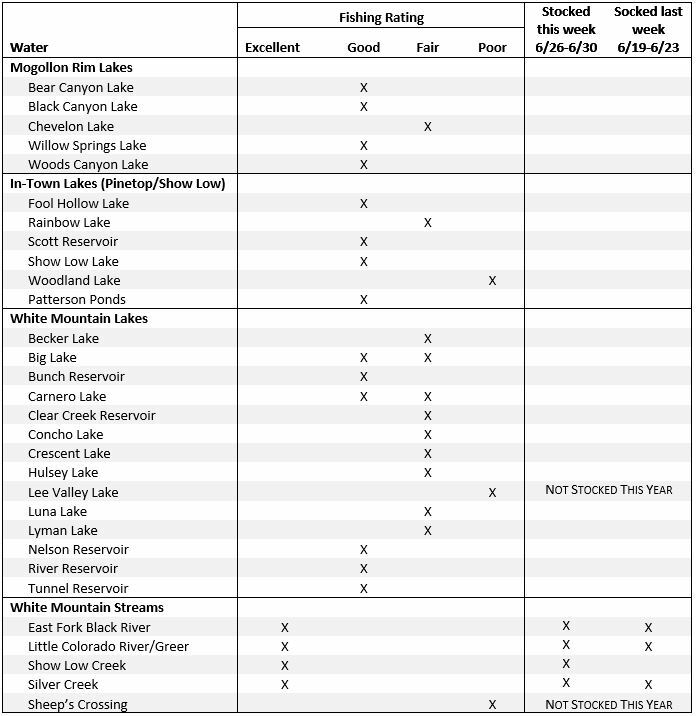 Rim Country lakes and streams are being replenished weekly including Hagiler, Canyon and Tonto Creeks, East Verde River, Woods Canyon and Willow Springs Lakes just to name a few. You can see the entire AZGFD Summer Stocking Schedule at azgfd.gov. PowerBait, small spinner-baits, worms and salmon eggs were all reported successful. Fly anglers are reporting dry fly imitations. We stocked a load of bonus trout from Colorado into Dogtown last week. The fish averaged about ¾ of a pound. Folks were catching them right after we stocked on spinners, spoons and PowerBait. Folks were doing well on Green garlic PowerBait and rainbow PowerBait yesterday according to an angler report. Fly anglers were catching fish from boats and float tubes. Kaibab received a two bonus stockings of channel catfish. Fishing was fair on Saturday with folks are catching everything (trout, bluegill crappie and catfish) on worms fished under a bobber. All of the fish were being caught close to shore. Hot dogs on the bottom were also working for catfish. I saw one angler catching a lot of crappie on a green mini jig. Folks were catching trout on green garlic PowerBait and yellow PowerBait. According to our Wildlife Manager checking the lake folks are catching lots of nice trout early in the morning and in the evening. Folks were catching fish on lures and PowerBait. Folks are still catching catfish early in the morning and in the evening on the Pond. Hot dogs and worms were both working. Folks using worms under a bobber were catching bluegill, crappie and trout in the morning while I was there. Kinnikinick Lake- I had reports of folks catching rainbow trout and brown trout on Kinnikinick. This is also the time of year when catfishing can be good. Last week we stocked about 11,000 small tiger trout in Kinnikinick.